CASPER stands for Coleshill Art Space Project - Everyone Respects. It is to create a statue, sculpture, mural or other feature on a prominent location in the town, to act as a tourist driver. This project was funded on 12 Jan 2018! Coleshill has Roman history, a Doomsday Book reference, a market charter granted by King John and coaching town and highwayman folklore. However, it is a town often travelled through rather than visited by the tourist. 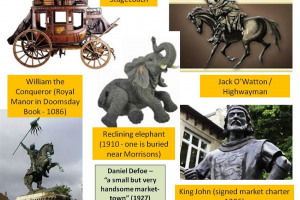 Something of an interest that depicts the town (a smaller scale equivalent to the Birmingham Bull, the Banbury Cross or the Coventry Godiva statue) will encourage the visitor to stop and look and allow more footfall and trade in the town as a result. 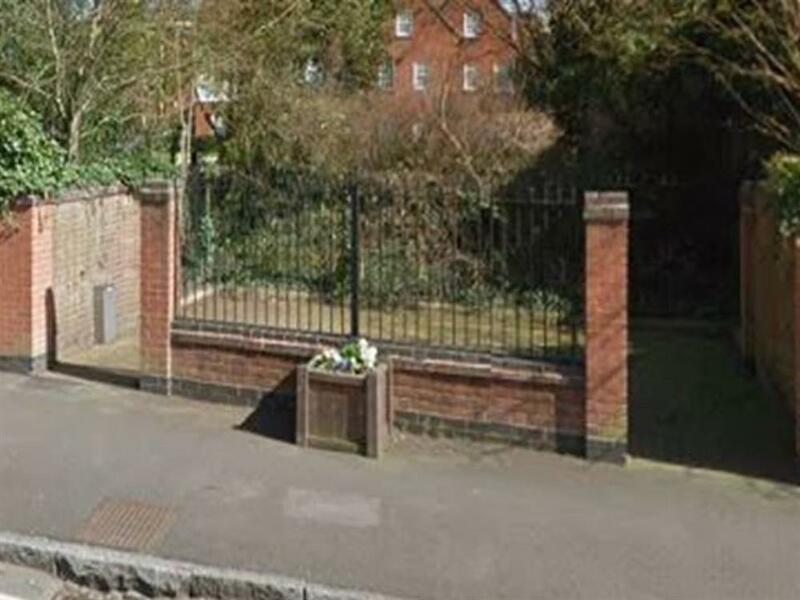 The location has already been found: some disused public ground on the High Street (former toilets). 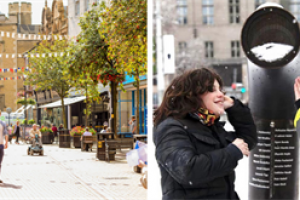 The design of the artwork needs to be agreed as a result of consultation with residents, local businesses and authorities. That is so to find a Coleshill artistic representation that "everyone relates" to (hence the CASPER initials. 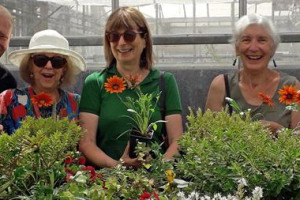 The North Warwickshire Borough Council has indicated that it could potentially arrange the use of the public space and some initial financial support. We will consult on the design of the art piece as something distinctive that most people can relate to. We will design, commission and construct the art piece, after the consulation. 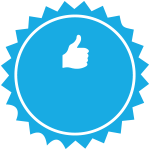 We will insure the appropriate recognition is given to businesses, authorities and other bodies who have assisted. 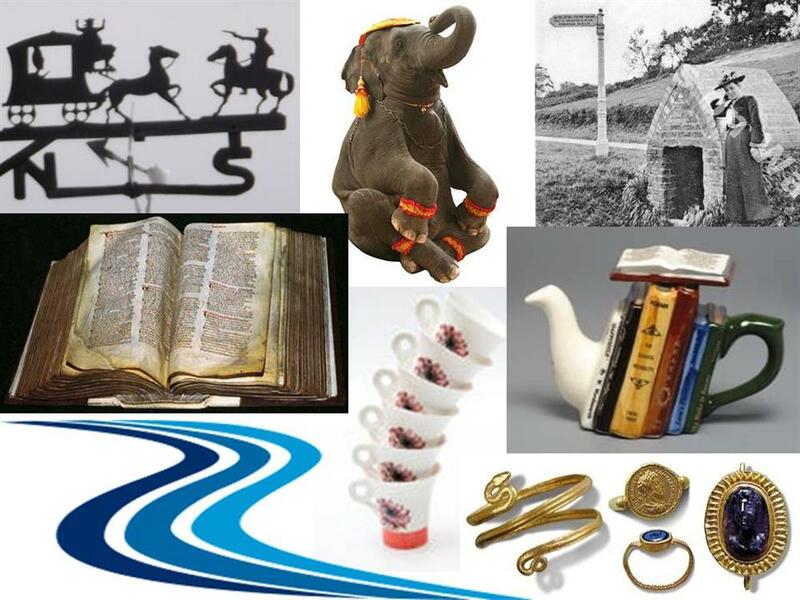 Coleshill has Roman history, a Doomsday Book reference, a market charter granted by King John and coaching town and highwayman folklore but does not shout out to neighbouring town residents or create anything that gives a unique identity. A distinctive art piece could be a talking point, a tourist draw, a pleasant area to sit by and a reason to stay in the town for longer. The subject of the artistic representation could help the town have a stronger identity in the eyes of its residents, those of the surrounding towns and villages. It could help the town make a modern statement rather than being only known by some for what it used to be (i.e. former coaching town that many travellers passed through on the way to somewhere else). To start an art space project with no pre-determined end design will encourage local authorities, schools, businesses and the media to all feel that they can contribute to that design. The selected design would achieve the "Everyone Respects" ideal by young and old to feel they are part of the project. 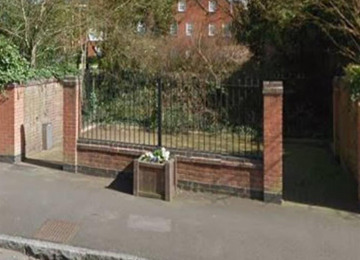 As well as encouraging the above, an arts space would give the residents of Coleshill a modern day pride in its town, an iconic representation of its sense of being that could be depicted alongside the Cole Bridge, the pillories and the Parish Church, together with its spire. There are thriving industrial businesses in the retail parks to the north of the Cole Bridge but these are rearely seen to have much association with the High Street and south town apart from the B46 postcode. A through and wide-reaching consultation which included the retail park businesses could offer the opportunity for business leaders to get involved in project participation, design and sponsorship. 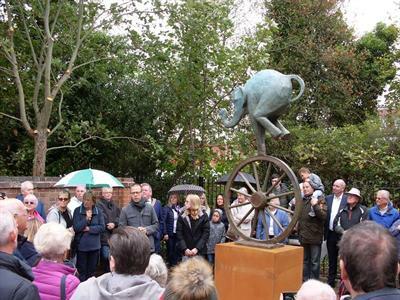 On 22 September, at a Family Fun Day, Coleshill, through the CASPER project, unveilied its fine piece of public art which sums up the town’s history in 11ft of bronze and steel. Coleshill aims to be among a big tourist attraction and now has a talking point, like the Copenhagen mermaid. A large crowd watched town mayor Cllr Tony Battle pull off the cover to reveal a circus elephant balanced on two legs on a stage coach wheel. Helping Cllr Battle with the unveiling were Peggy Childs, now in her 90s, and The Coleshill School student Charlotte Revans. 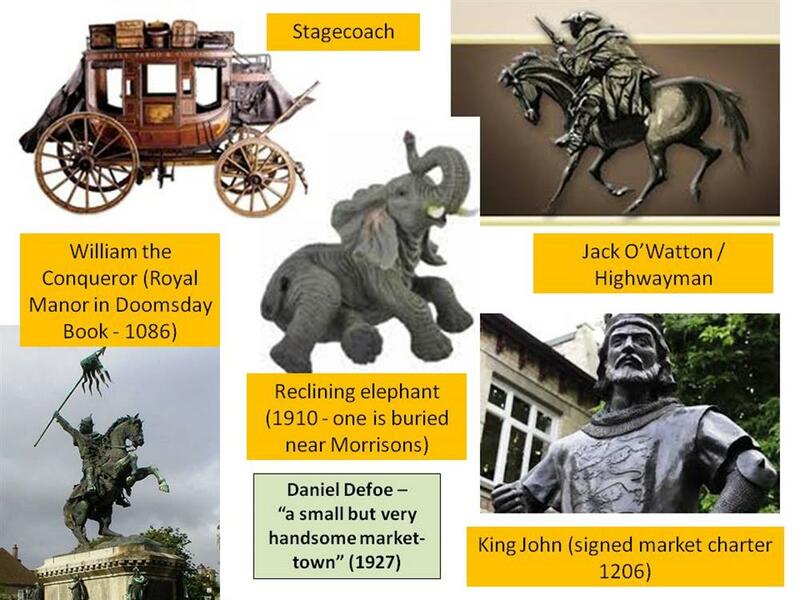 The elephant, facing the medieval bridge, commemorates the circus elephant which choked on a swede and died as it passed through the town over 100 years ago. It also celebrates John Sumner’s Typoo Tea brand, blended to relieve his sister’s indigestion. The stylised shape of the elephant also repesents a teapot - the tail the handle and the trunk the spout, tipped over to pour tea. The wheel is a reference to the coaching history of the town, but also a nod to the 12 stopping points on the Green and Yellow Heritage tours which were launched at the unveiling. The next ones are on the Saturdays: 20 October, 17 November and 15 December. Booking is essential, via the Town Council number 01675 463326 (open 9-1, Monday to Friday but with an answer machine out of hours). Peggy’s late husband Frank was a child when the circus arrived in town. Charlotte won a design competition, which sculptor Peter Walker translated into the art work. 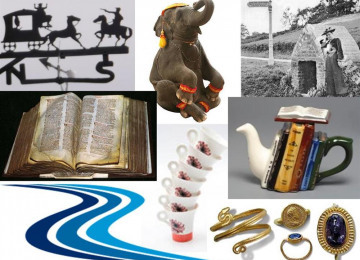 The brief was to design a piece of art work to incorporate four themes: John Sumner, founder of Typhoo tea; Jack O’Watton, a famous local high-wayman; the circus elephant who died and is buried in Coleshill, and the three rivers (the Blythe, Cole and Tame). 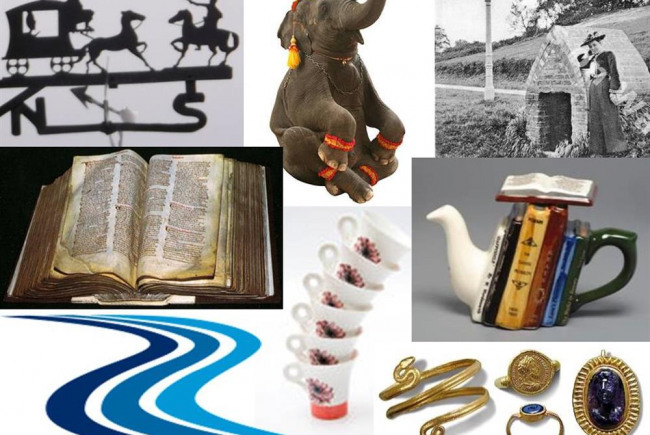 The sculpture is titled "Memories Flow By" which is a reference to the elephant, the rivers and the flow of time! The Coleshill Art Space Project - Everyone Relates (CASPER) is a group of residents, schools, voluntary organisations, media and business representatives. 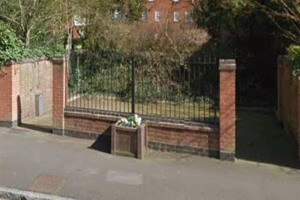 Although it is led by Colin Greatorex as Town Clerk of Coleshill Town Council, it is a project belonging to the town rather than one solely involving its public bodies. Project Delivery Manager: Coleshill Town Council The Project Delivery Manager takes legal responsibility for receiving and spending the funds raised and ensuring the project is delivered.